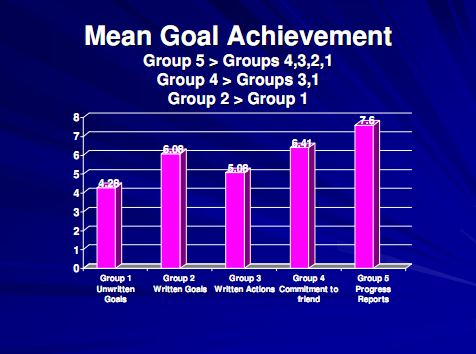 Although the test was only over a four-week period, Group 5, that group that was asked to write down their goals and continuously monitors them, achieved significantly more than all other groups. 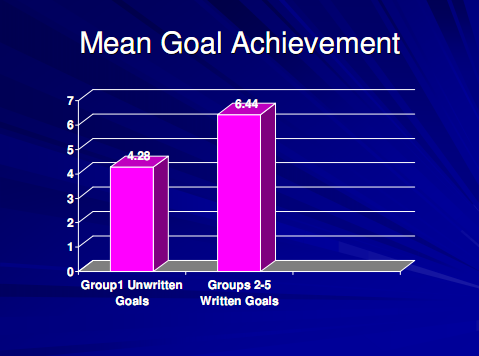 It’s Really Important to set Goals and Monitor Them! So far we’ve discussed why live life in crescendo, and how goals can help you get there. Next, I will be discussing how do you find your crescendo? Does this change your path in life or augment the one you’re on? Stay tuned. Why Live Life in Crescendo?